Ellen Purdum is the Assistant Dean of Student Life and Spiritual Formation. She works collaboratively with faculty, staff and student leaders to continue and enrich the many student services, programs and activities at Candler. She also spends a lot of time listening deeply to the lives of students here. On her best days she hopes that these different aspects of her work help to foster opportunities where spiritual and vocational formation—in their many and diverse varieties—will enhance students' theological education and preparation for ministry and service. Ellen is also an ordained Episcopal priest in the Diocese of Atlanta and leads worship or preaches most Sundays at Holy Trinity Episcopal Church in Decatur, Georgia. Prior to becoming a priest, she taught English and service learning electives at the high school level and worked for a national, ecumenical non-profit that supported young adults exploring or preparing for pastoral ministry. Ellen is an associate at the Green Bough House of Prayer, a retreat center in southern Georgia where she goes to be quiet. She lives in Decatur with her husband and a rescued rat terrier named Hannah. For the past several years Quentin has been the Campus Outreach and Ministry Coordinator at the Martin Luther King, Jr. International Chapel at Morehouse College, from which he was graduated with a degree in business. At Morehouse, Quentin also worked as the Program Coordinator in the Office of the King Collection. 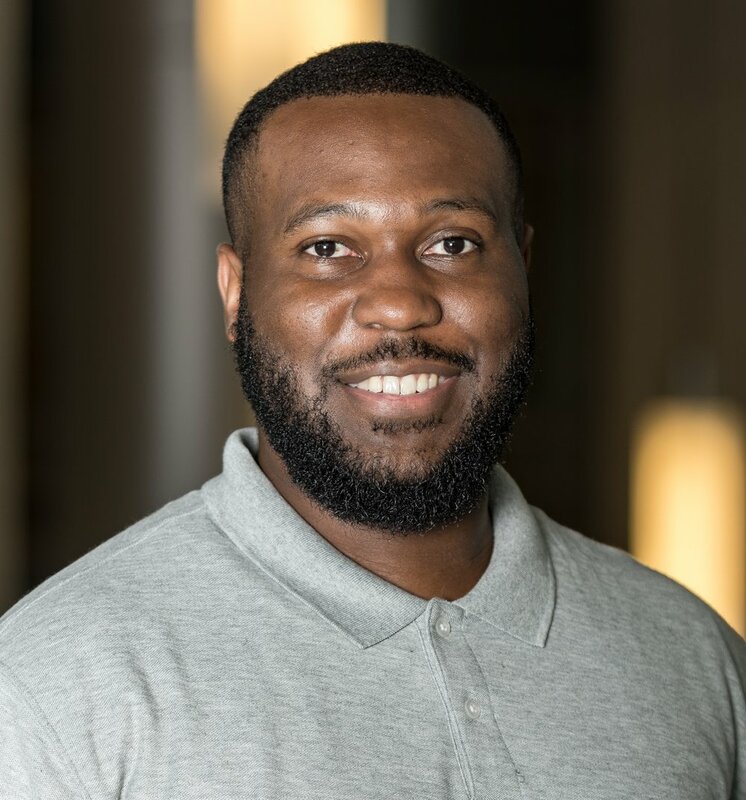 Prior to coming to seminary, Quentin worked as Program Coordinator for the Institute for Conservation Leadership in Takoma Park, Maryland, and as Community Development Liaison at Riverside Hospital in Washington, DC, focusing on outpatient services for at-risk youth and young adults. David is the Director of the Writing Center/ADVANCE Instructor, who is entering his third year of a Ph.D. program in the Graduate Division of Religion at Emory University. His research centers on a narrative approach to pastoral and practical theology, with particular attention to seeing how narrative can be used in understanding interpersonal identity formation and religious experience. When he was a M.Div student at Candler, David served as a writing tutor for two years. He is certainly excited to return to OSP as the Director of the Writing Center! Prior to Candler, David finished his B.A. at the University of Michigan (Go Blue!) and taught middle school social studies for two years. As an ordination candidate in the Presbyterian Church (USA), David has been serving a Korean Americancongregation as a minister of education and outreach for several years. Emily Rivers is a second year MDiv student. Hailing from Winston Salem, North Carolina, Emily graduated from Appalachian State University with a B.A. in Religious Studies and a minor in Gender, Women’s and Sexuality Studies. As a licensed yoga and group fitness instructor, Emily strives to be an advocate for health and wellness wherever she goes. Emily is a certified candidate in the United Methodist Church and plans to seek ordination after graduation. In this capacity she hopes to bring her passions for and commitments to holistic health and wellness to the church and the greater world. When Emily is not studying you will find her doing or teaching yoga, running, hiking, soaking up some sun and spending time with friends and family. ANDY IS A SECOND YEAR M.DIV. STUDENT AT CANDLER AND A TUTOR FOR THE CANDLER WRITING CENTER. HE IS FROM KANSAS, AND EARNED HIS MASTER'S DEGREE IN RELIGIOUS STUDIES FROM THE UNIVERSITY OF KANSAS IN LAWRENCE. HE IS A SEMINARIAN AT HOLY TRINITY EPISCOPAL PARISH IN DECATUR. HE LOVES TO READ AND TO GROW AS A WRITER, AND IS ALWAYS EAGER TO ENGAGE WITH NEW IDEAS. THIS YEAR ANDY HAS STARTED STUDYING THE KOREAN LANGUAGE IN HIS SPARE TIME. Whitney is a second-year MDIV student. Before Candler, she studied Bible and Theology at Lee University. Whitney is seeking ordination within the United Methodist Church as an elder. Currently, she is serving as a pastoral resident at Decatur First UMC. She hopes to pursue chaplaincy in a hospital or hospice setting after graduation. In her free time, Whitney enjoys going to estate sales, playing Catan (or really any board game), hiking, and painting. 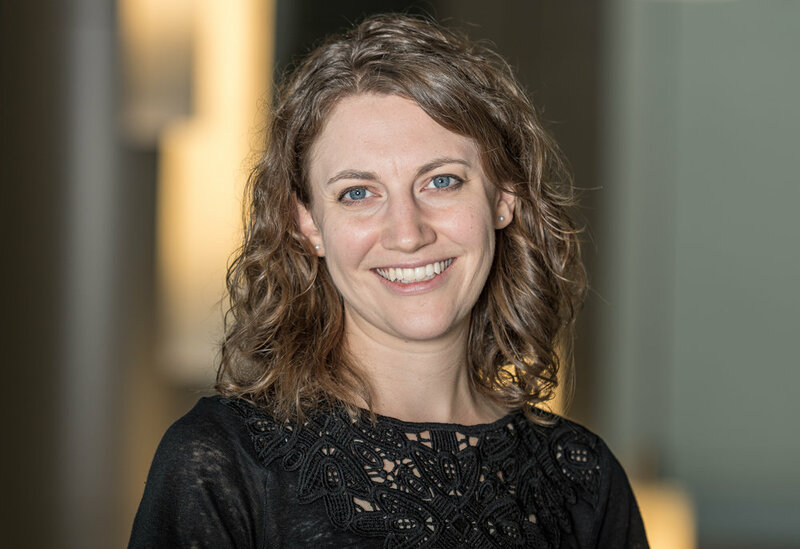 Kim is a second-year Master of Divinity student from Austin, TX with concentrations in Criminal Justice Ministries and Justice, Peacebuilding, and Conflict Transformation. She earned her BA in Psychology from Rice University in Houston, TX. After that, she served with a parachurch organization for two years in Minneapolis, MN where she worked to connect resources and volunteers with urban pastors to address issues of poverty through local churches. Kim has a heart for cities and looks forward to getting to know the city of Atlanta during her time at Candler. Kim is also passionate about the role of narrative and lament in engaging issues of trauma and injustice. In her spare time, she enjoys exploring cities through murals and street art, museum-hopping, going for walks, and cooking with friends. Amy is a second-year MDIV student and candidate for ordination in the Evangelical Lutheran Church of America. She received a B.A. in Biology at St. Olaf College and played cello in the orchestra. Prior to Candler, Amy worked in the public health sector, addressing barriers to care for persons living with HIV and coordinating mental health services for immigrants seeking political asylum. Questions surrounding trauma, resilience, healing spaces, and narrative ultimately led her to theological study. Hailing from Minnesota, Amy's taste in music ranges from Prince and Bob Dylan to the classics of the Lutheran hymnal. She considers mix tapes to be her truest form of artistic expression. Chrystal is a second-year Master of Divinity student pursuing a certificate in Baptist Studies and Religious Education. She earned her BS in Kinesiology and Health Promotion from The University of Texas at Austin in 2014. Shortly thereafter, she joined Teach for America as a 2014 Corps Member and taught at a public charter school in Houston, TX. Chrystal never imagined attending seminary but felt a pulling towards theological education after a series of peculiar events inside and outside of the church. 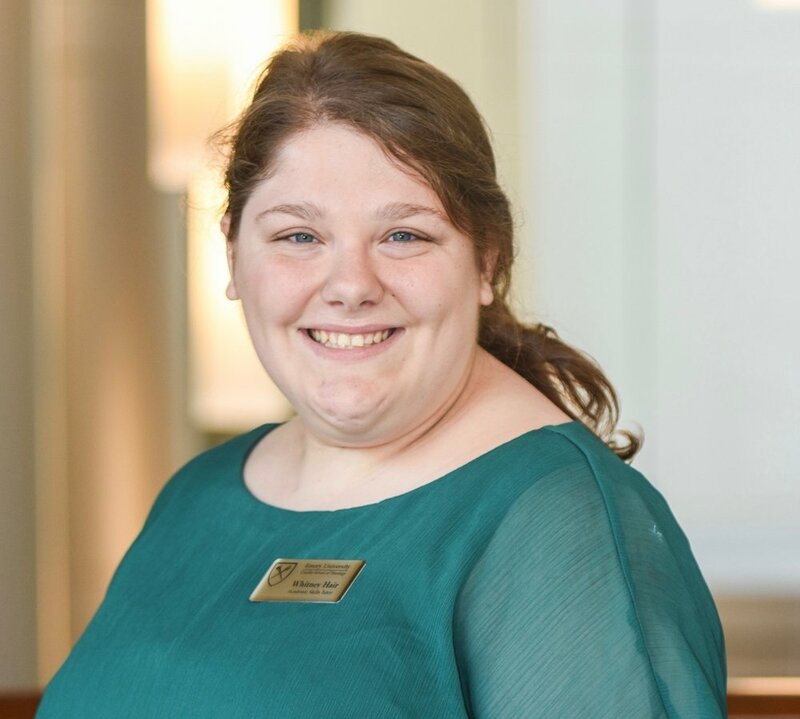 In addition to working as an OSP staff person, Chrystal has served as a Worship Planner and Social Media Specialist for the Candler Office of Worship and as a Class Representative for the Candler Coordinating Committee (C3). In her spare time, she enjoys dancing, reading memoirs, and touring model homes. Isaiah Lewis is a third-year MDiv student and an academic skills tutor in Candler's Writing Center. Prior to Candler, he worked as a responder on a workers' rights hotline. He majored in English literature and creative writing in college and his heroes are Octavia Butler and Philip Pullman. After graduation, Isaiah hopes to teach. ALEX REVELLE IS A FIRST-YEAR MDIV STUDENT FROM DURHAM, NORTH CAROLINA. HE GRADUATED FROM NORTH CAROLINA A&T STATE UNIVERSITY WITH A B.S. IN JOURNALISM MASS COMMUNICATION AND A CONCENTRATION IN BROADCAST PRODUCTION. UPON GRADUATING ALEX CONTINUED WORKING IN THE JOURNALISM FIELD AS A COMMUNICATION OFFICER AT TIME WARNER CABLE. ALEX FOUND HIS PASSION IN LIFE SERVING AS THE DIRECTOR OF COMMUNICATION & OUTREACH FOR THE THOMAS MENTOR LEADERSHIP ACADEMY. SERVING IN THIS ROLE HELPED ALEX TO HEAR AND ACCEPT HIS CALLING INTO THE MINISTRY. HE IS LOOKING FORWARD TO THE EDUCATION HE WILL RECEIVE OVER HIS TIME HERE AT CANDLER. IN HIS SPARE TIME YOU CAN FIND ALEX MENTORING, READING, PLAYING THE TROMBONE AND PLAYING BASKETBALL.